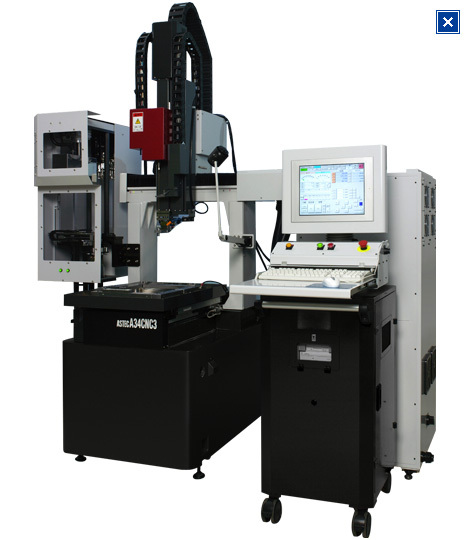 In addition to high machanical rigidity, the outstanding performance and precision are kept. It is provided with broad application, such as the hole which is adjustable its angle or successive processing of the hole of a different innner diamerter. 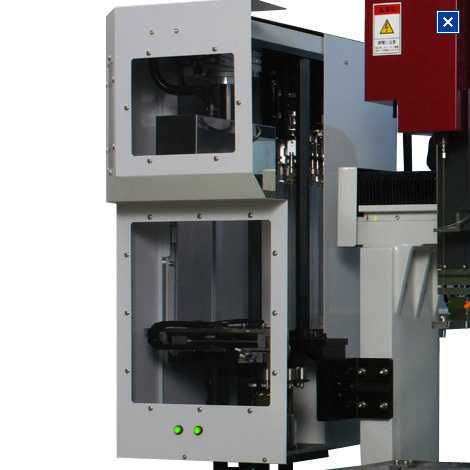 This CNC high-speed small-hole electric discharge machine adopts a casting for the basic structure of the machine body, and achieves very high rigidity. Moreover, functionality and high accuracy of position were held and it has broad application, such as successive processing of the hole whose angle is adjustable, or the hole of a different inner diameter. 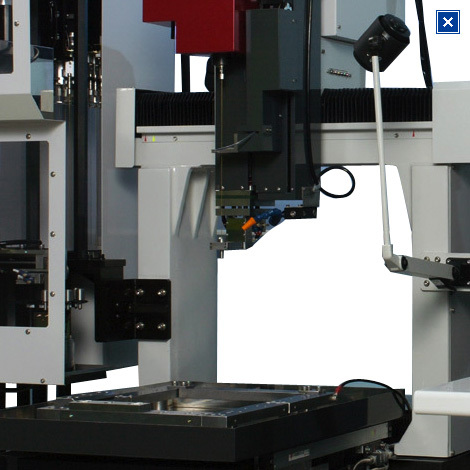 Furthermore, by loading of the proprietary software, high speed motion always comes out possible, and it responds to the extensive needs of small-hole processing. 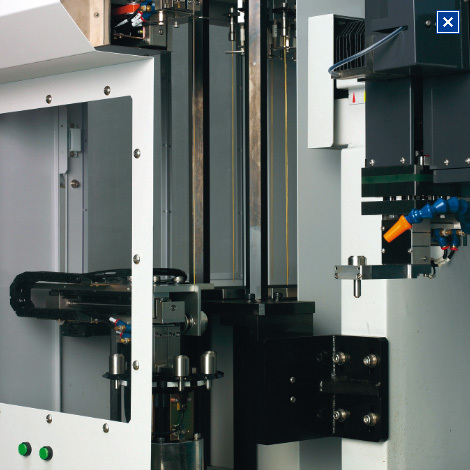 The gate type style gives high rigidity with whole machine structure, and XY-axis scale by the improved technique for years achieved highly precise positioning. Storage of the maximum of 1000 data is possible. Processing-conditions data can save to a file as the maximum of 1000 data. Therefore, since the data under storage are taken out and data can be freely changed to similar processing condition, processing can be begun more efficiently in a short time. 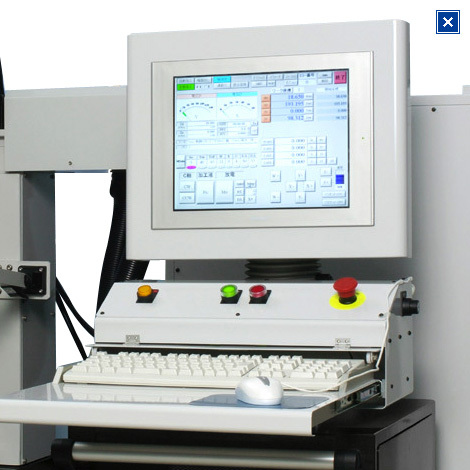 Only by one signal, it performs from the processing start to the processing end automatically. 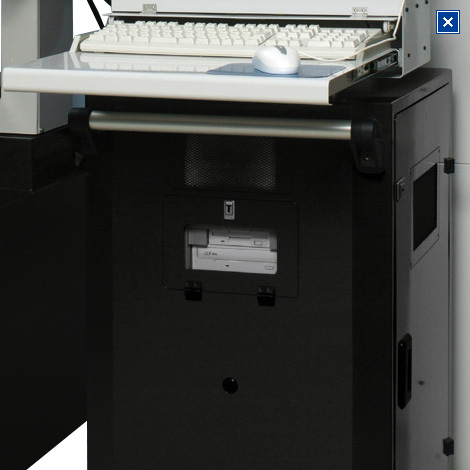 The end face positioning and the centering of the work can be performed automatically. 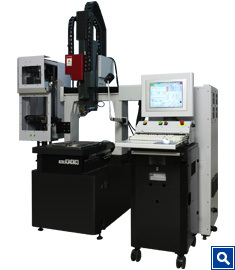 Even if you are not programming, the straight line and the circular-pitch operation can be performed. Processing of the specified depth (blind hole) can be performed without considering consumption of the electrode. Based on processing conditions, the output for performing ON/OFF of the feed of water is equipped as standard. 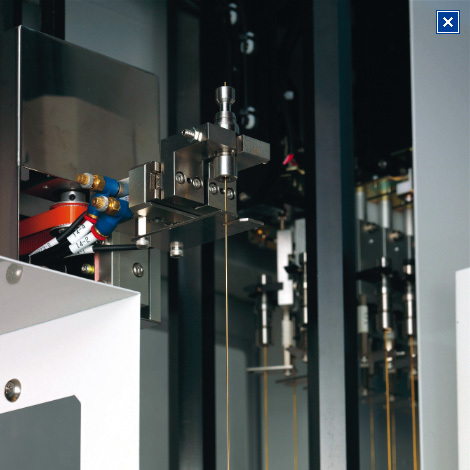 It prevents the vibration of the electrode under processing. By this anti-vibration system, processing is stabilized more and the variation of the hole-diameter is suppressed. It is the type which built-in the collet of AEC21 on the main shaft (C-axis). 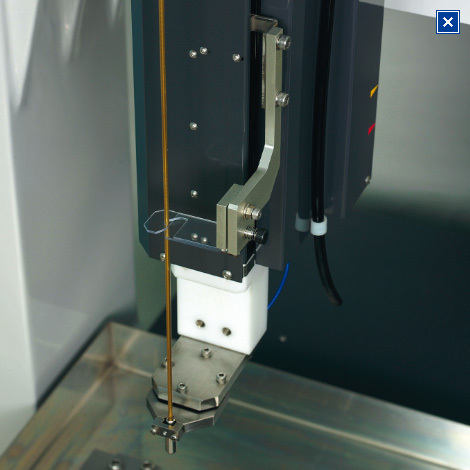 Electrode exchange can be performed by one-touch. The maximum number of the control shafts are 6 shafts (oncluding optional 2 shaft). The circulation system required for continuous processing is also lineuped. Input the coordinates position to the register, writing from the register to the program, etc. are arbitrarily possible. Calculation for addition, subtraction, multiplication, dividing (*/+-) is possible within the program. 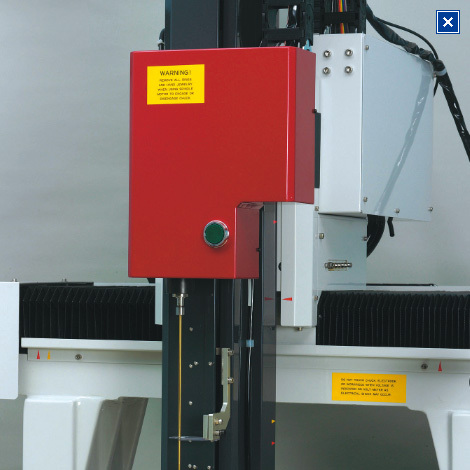 It can be programmed for the waiting operation to the manual processing function, and also can be programmed in the case of the only one processing easily. The maximum numbersof the control axis are 6 axis (including optional 2 shaft). Program has 100 or more ASTEC commands.